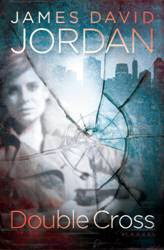 “The day my mother came back into my life began with a low December fog and a suicide.” So begins James David Jordan’s latest novel, Double Cross, which follows the exploits of Taylor Pasbury, a young ex-Secret Service agent with a checkered past and a penchant for finding trouble. Even as a high school kid, Taylor knew she was not like most other girls. Raised by her father, a retired Special Forces officer, she learned to camp, shoot, and most of all, take care of herself. Now a young adult, Pasbury opens her own security agency and finds herself in the middle of a mysterious case full of danger and intrigue. This sounds like an interesting book, it'll probably be my next book to read.